Generally acknowledged as one of the top three ab initio quantum chemistry theorists in the world, Rodney Bartlett’s scientific papers have generated such a volume of citations that he is among the most-cited chemists in the world, having published or in press 334 refereed papers and book chapters. Bartlett and his research group pioneered the development of coupled-cluster theory and many-body perturbation theory in quantum chemistry in an effort to provide more accurate solutions for molecular structure, spectra, reaction paths and other properties. His current research is focused on several areas, including addressing excited states, NMR spectra and the solution of the correlation problem for infinite, periodic systems like polymers, surfaces and crystals. Bartlett has maintained steady funding support for this research, garnering $7.6 million in grants since 1981. He is a most sought-after speaker, having presented in the last five years invited lectures at 42 meetings and 18 lectures at universities and laboratories worldwide. He was named a recipient of the prestigious J.S. Guggenheim Fellowship in 1986 and has been elected to membership in the International Academy of Quantum Molecular Sciences and the American Physical Society. 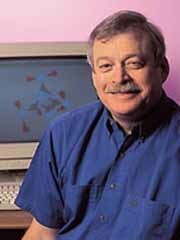 His research group developed the Advanced Concepts in Electronic Structure (ACES) II program system, which is in use at more than 100 installations worldwide, including duPont, Ford, the Pacific Northwest National Laboratory, the Australian National Supercomputer Center and many universities.